Firehouse subs is celebrating the Super Bowl with the SUBper Bowl. 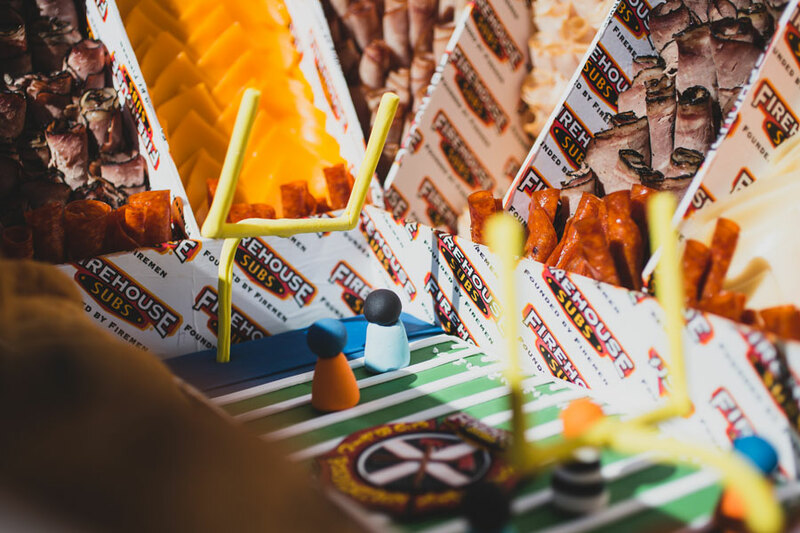 The national sandwich chain has built a miniature stadium created entirely of sandwiches, deli meats, cheese and desserts just for this weekend. Reminds us of the sandwich house we used to dream about living in when we were younger. Alas, that dream became less and less likely as we grew older. Think of the ants. The delicious construction features 6 dozen cookies, 24 brownies, 3 pounds of salami, 3 pounds of pepperoni, 35 pounds of turkey, 35 pounds of ham, 15 pounds of corned beef, 15 pounds of pastrami 10 pounds of cheddar, 10 pounds of Monterey Jack and 10 pounds of Swiss cheese. It took about between eight to ten people working on this project an entire 24 hours to construct. 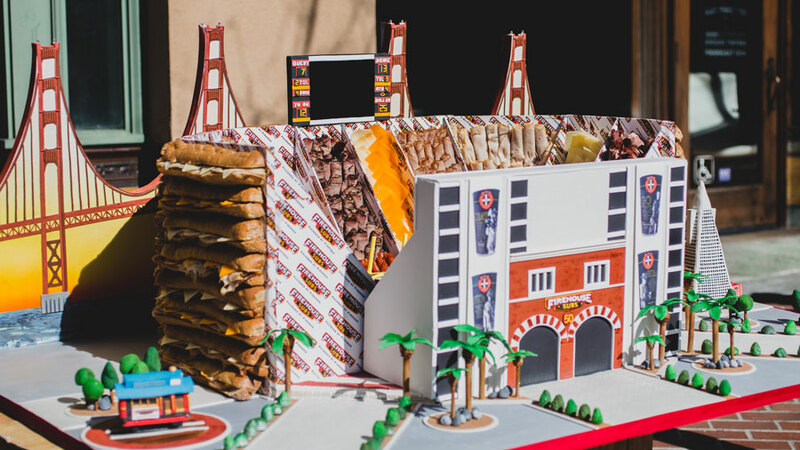 Firehouse made a quick pitstop at Foodbeast HQ and gave us a peek at the snack stadium. Unfortunately, we wouldn't pick at it too much. They did make up for it with some subs, however. Check out the video above for a closer look at the SUBper Bowl.